"Embroidery Kitty" 8x8 inches on wood. For sale here. I haven't been painting much this year, and I'm feeling a change in my paintings. Maybe it's just a phase, maybe it's here to stay. Can you tell? My backgrounds are getting less busy and with darker colors. Maybe it's just the winter, but I'm using more saturated colors than usual. I'm liking the figures to take a center stage and not getting lost. "Frida's love birds" 8x10 inches on Wood. For sale here. 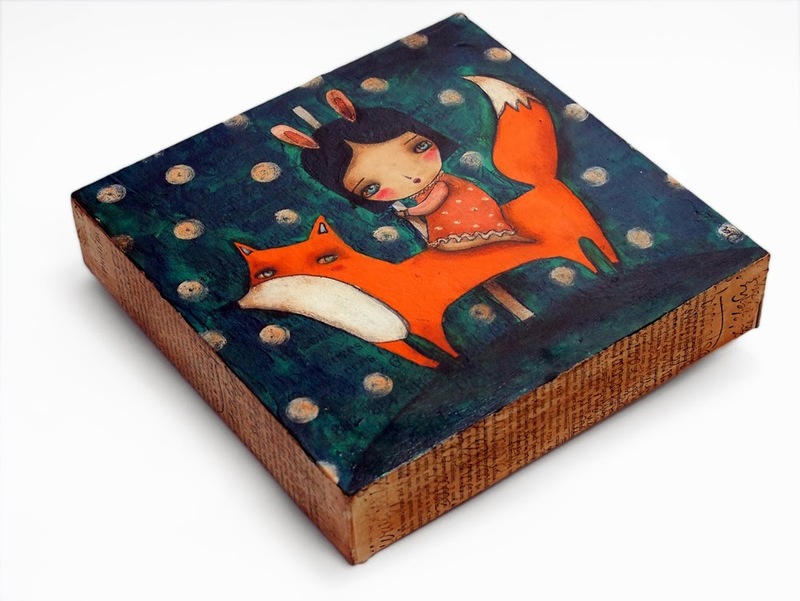 "Riding My Fox" 8x8 Inches on Wood. For Sale Here. 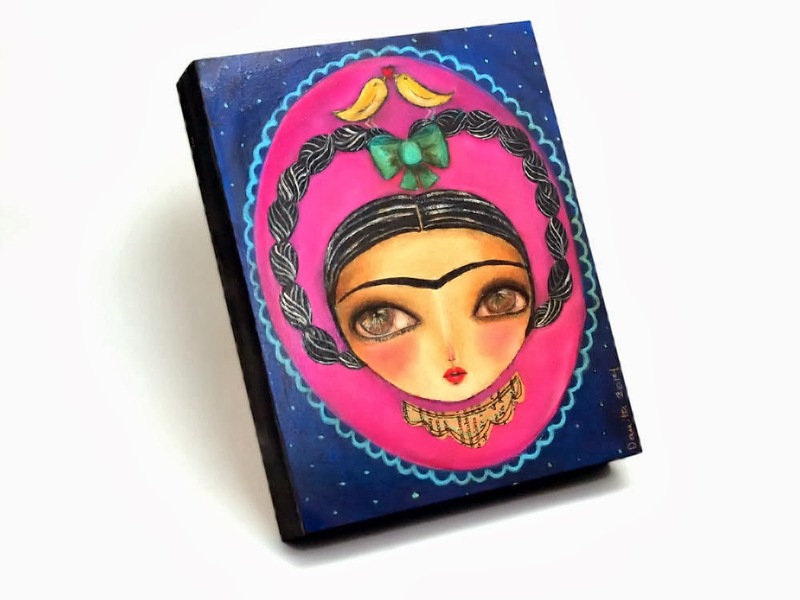 I looove the Frida painting. And the way you have done the canvas edges. Decoupage, is it? Hi Ambika! yes they are collage applications of Early 20th century Mexican Books. Your darker backgrounds are very interesting and the contrast they make with the rest of the painting is very appealing to the eye. 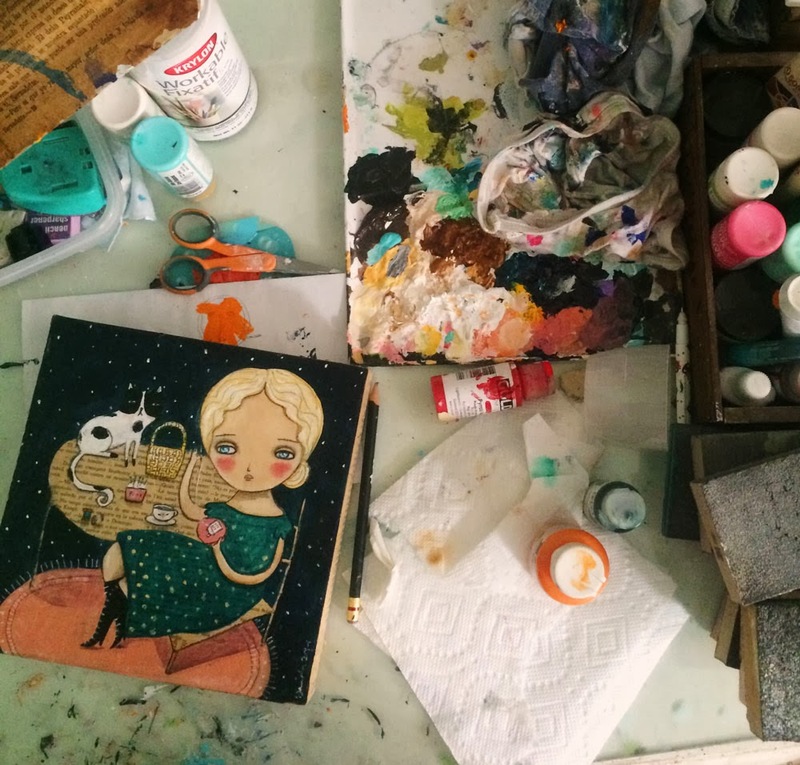 Have you encountered any difficulties in painting on wood? Have you noticed any difference between canvas and wood?